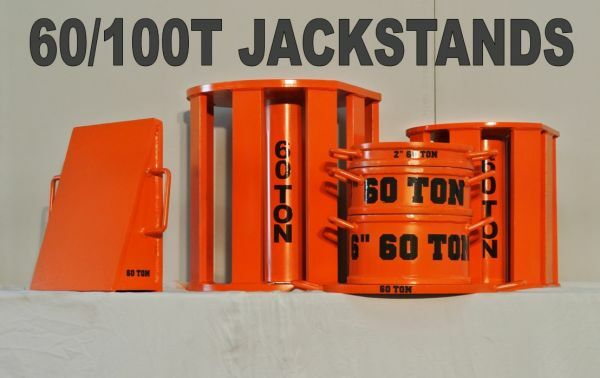 We now offer 60 and 100 Ton stackable jack stands and accessories. 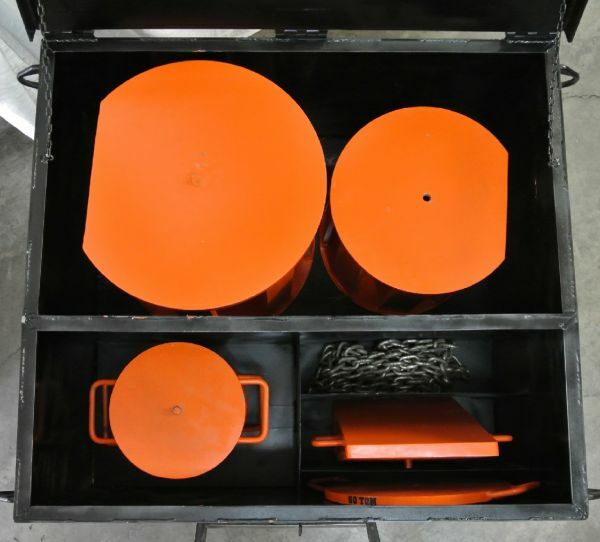 Our jack stands are MADE IN THE USA and meet OSHA and MSHA certification requirements. 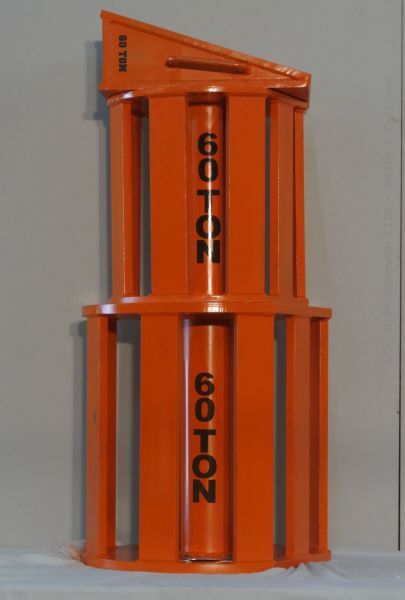 These stands are made from Schedule 80 and A36 steel and tested/certified to meet their design capacity. Each unit has a tag displaying all necessary certifications. 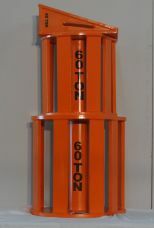 The base, top, spacers, and wedge pin together for safety during use. The decals on the stands are made from a highly reflective film, allowing for safe use in low light situations. The stands are built with a flat side, preventing rollaway and allowing the user to have the stands closer to the machinery. Our jack stands are limitless. Your stand can be arranged from 21" to 48" to accommodate jobs of all sizes. Whether you're working on off-highway or on-highway trucks, crawler tractors, or wheel loaders, etc. our stands provide stable and safe support. Our stands are perfect for tire trucks, service trucks, job-site and shop use. Note: This design is registered and protected by United States Patent law. These products are not to be copied or reproduced under penalty of law. Click here for more information on our jackstands!